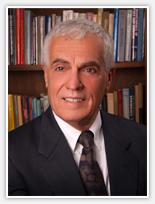 Dr. Gerald S. George, Professor Emeritus, Department of Kinesiology at the University of Louisiana, is a world-wide, respected authority in biomechanics of sport. Having served as author, contributor and/or senior editor to over 10 textbooks and 120 article publications specific to gymnastics training and technique, Dr. George’s writings, research and lectures are well-known throughout the gymnastics world. The most notable of his works include the classic Biomechanics of Women’s Gymnastics which was the best selling gymnastics textbook in the world for 3 consecutive years. As Director of Education and Safety for the United States Gymnastics Federation, Dr. George served as Senior Editor of both USGF Gymnastics Safety Manuals as well as Project Director of the USGF Gymnastics Safety Certification Program, the original forerunner to the current USAG Risk Management Program. In addition to having received innumerable professional awards for teaching, scholarship and research including the Patrick Rutherford Endowed Professorship, the Red Lerille Endowed Professorship, the ULL Distinguished Professorship Award, Dr. George has been the recipient of the C.H. McCloy Research Award in Gymnastics (1971), Hartley Price National Honor Research Award (1972); National Association of College Gymnastics Coaches Research Award (1980); National Recognition Award for Research in Sports Biomechanics (1981); USGF Honor Award (1983); F.I.G. Outstanding Lecturer Award (1988); U.S. National Diving Safety Service Award (1989); Helms Gymnastics Hall of Fame Inductee (1990); National A.A.H.P.E.R.D. Presidential Citation Safety Award (1992), National American Spirit Award for Cheerleading Safety (1996) and USAG Hall of Fame Inductee (1996), LSU Alumni "Hall of Distinction" Inductee (2011), and World Acrobatics Society "Gallery of Legends" Inductee (2011). Throughout his career, Dr. George has been and remains a sought-after lecturer and clinician by gymnastics professionals throughout the United States, Europe, Australia and China.